From exhibition to edition, the comics sensation that rocked the nation! 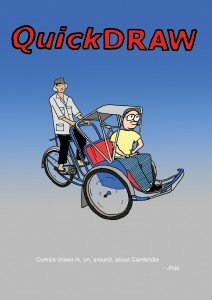 2010's QuickDraw #6, now available in your choice of languages and formats! iBookStore: Does not support / accept Khmer language... YET.